The Cessna 152 is an American two-seat, fixed tricycle gear, general aviation airplane, used primarily for flight training, touring, and personal flying. 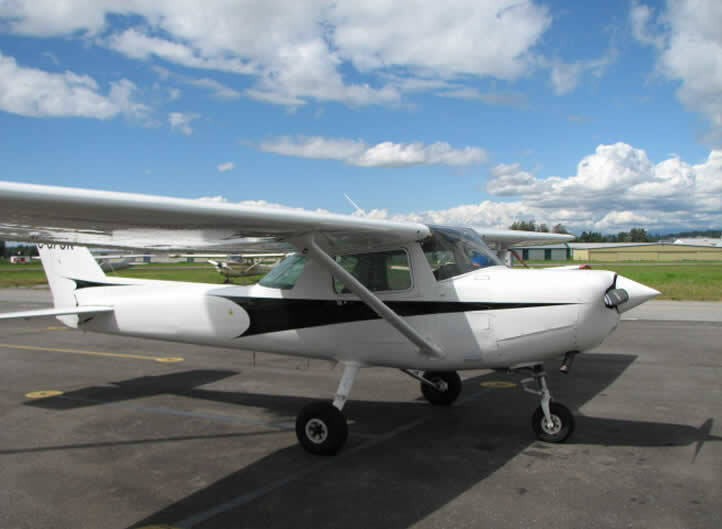 First delivered in 1977 as the 1978 model year, the 152 was a modernization of the proven Cessna 150 design. The 152 was intended to compete with the new Beechcraft Skipper and Piper Tomahawk, both of which were introduced the same year. Additional design goals were to improve useful load through a gross weight increase to 1670 lbs (757 kg), decrease internal and external noise levels and run better on the then newly introduced 100LL fuel. As with the 150, the great majority of 152s were built at the Cessna factory in Wichita, Kansas. A number of aircraft were also built by Reims Aviation of France and given the designation F152 / FA152. 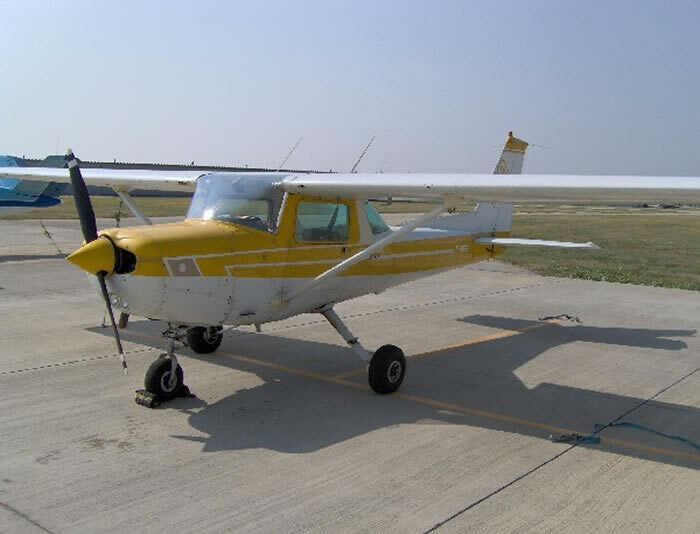 Production of the 152 was ended in 1985 when Cessna ended production of all of their light aircraft; by that time, a total of 7,584 examples of the 152, including A152 and FA152 Aerobat aerobatic variants, had been built worldwide. In 2007 Cessna announced that it will build a light sport successor, designated the Model 162 Skycatcher. All Cessna 152s were manufactured with a Lycoming O-235 engine, whereas the 150s use either Continental O-200-A in US-built versions or Rolls-Royce 0-240-A engines in the Reims-produced version. The nose wheel is connected to the engine mount and has an oleo strut to dampen and absorb normal operating loads. The nosewheel is steerable through 8 degrees either side of neutral and can caster under differential braking up to 30 degrees. It is connected to the rudder pedals through a spring linkage. The braking system consists of single disc brake assemblies fitted to the main undercarriage and operated by a hydraulic system. Brakes are operated by pushing on the top portion of the rudder pedals. It is possible to use differential braking when taxiing and this allows very tight turns to be made. The 152 is also fitted with a parking brake system. It is applied by depressing both toe brakes and then pulling the "Park Brake" lever to the pilot’s left. The toe brakes are then released but pressure is maintained in the system thereby leaving both brakes engaged. The standard tires used are 600 X 6 on the main gear and 500 X 5 on the nose wheel. Taildragger conversions such as the 'Texas Taildragger' conversion are available and have been fitted to some 152s. It involves strengthening the fuselage for the undercarriage being moved further forward, removing the nosewheel and strengthening the tail area for the tailwheel. This greatly improves short field performance and is claimed to give up to a 10kt cruise speed increase. The wings can be modified using a number of modification kits, some improving high speed/cruise performance but most concentrating on STOL performance. Horton's STOL kit is one of the better known of the latter. It involves fitting a more cambered leading edge cuff to increase angle of attack, fitting fences at the aileron/flap intersection and fitting drooped wingtips. Stalls with these modifications are almost off the airspeed indicator, since instrument error is high at high angles of attack. It has been said that landings can be achieved in 2 fuselage lengths with the kit installed in addition to a taildragger mod., by balancing power against drag. Takeoff performance is also improved by varying degrees depending on the surface. The engine's power can be increased by various modifications, such as the 'Sparrow Hawk' power package, increasing it to 125 hp. Flap gap seals to reduce drag and increase rate of climb. Different wing tips, some of which claim various cruise speed increases and stall speed reductions. Auto fuel STCs, which permit the use of automobile fuel instead of the more expensive aviation fuel. Auxiliary fuel tanks for larger capacity. Door catches to replace the factory ones that often fail in service. Belly fuel drain valves to drain fuel from the lowest point in the fuel system. 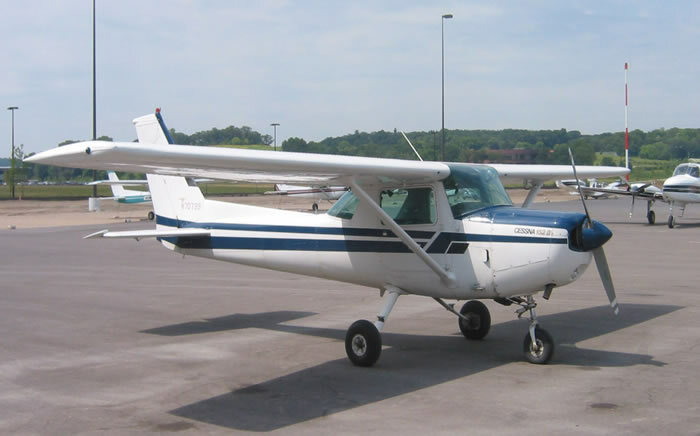 1985 model Cessna 152The 152 was produced in several different versions over its eight year production run. 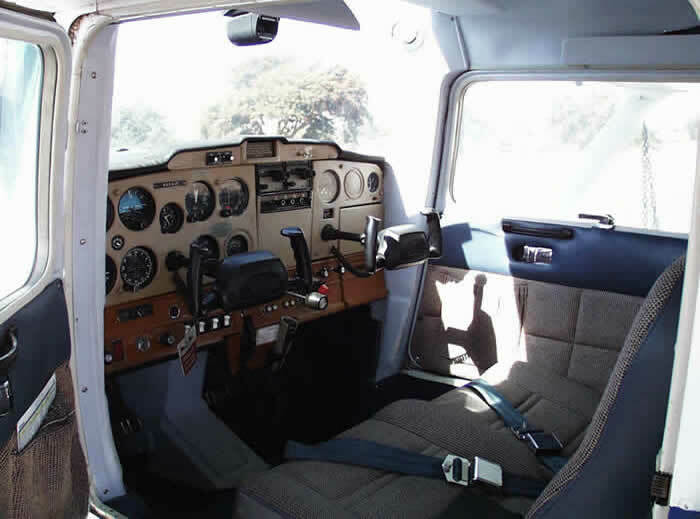 Aside from the standard model 152 there was a 152 II with an enhanced package of standard avionics and trim features. The 152 II with Nav Pac included more standard avionics for IFR use. 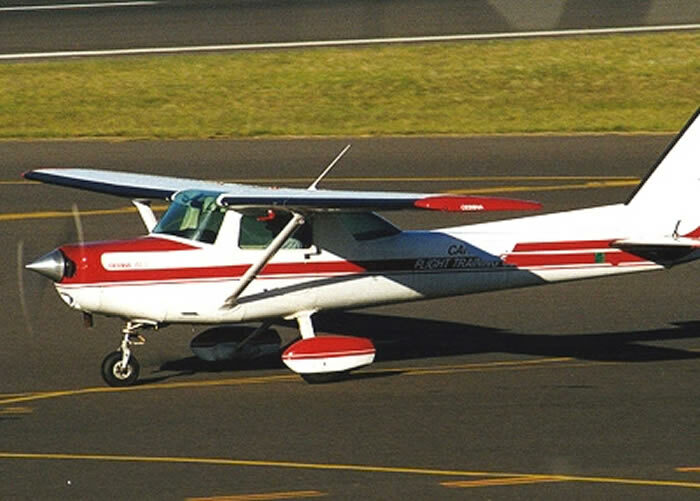 The 152T was a standard option package for use by flying schools, the "T" indicating "trainer" and not a sub-model. The 152 was also produced in an aerobatic version. 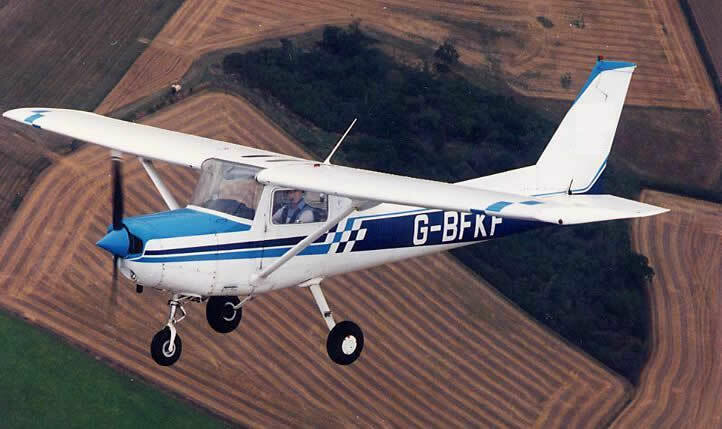 In the same manner as the Cessna A150 Aerobat the 152 version was designated the Cessna A152 Aerobat. The A152 was certified for +6, -3 “g” and had standard four point harnesses, skylights and jetisonable doors, along with a checkerboard paint scheme and removable seat cushions to allow parachutes to be worn by the crew. The Cessna 152 is supported by a number of aircraft type clubs, including the Cessna 150-152 Club and the Cessna Pilots Association.